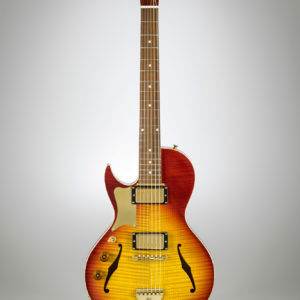 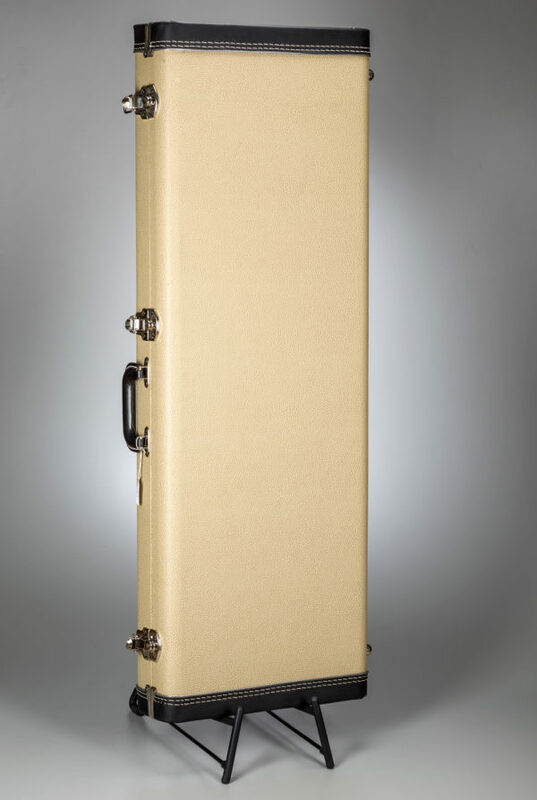 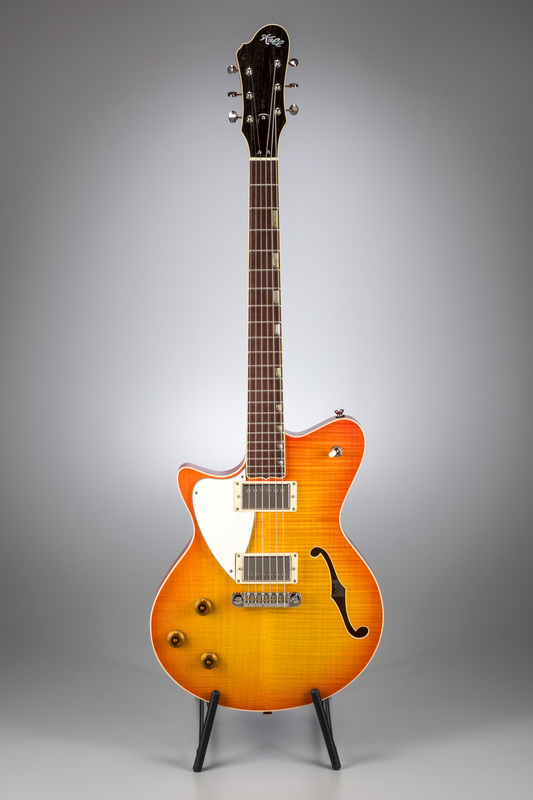 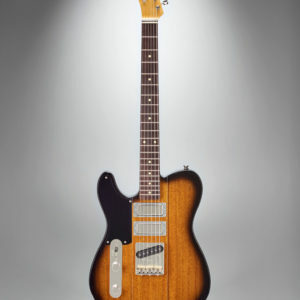 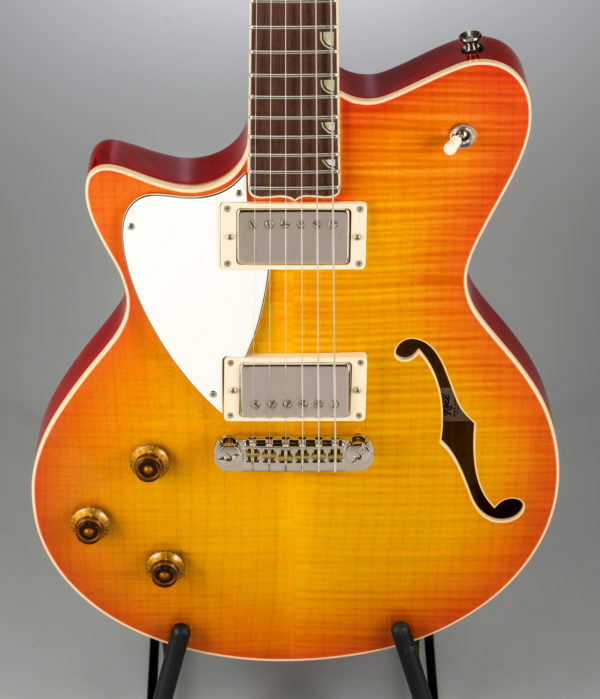 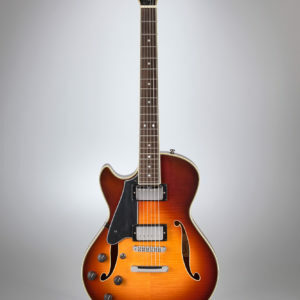 Koll’s top-of-the-line model. 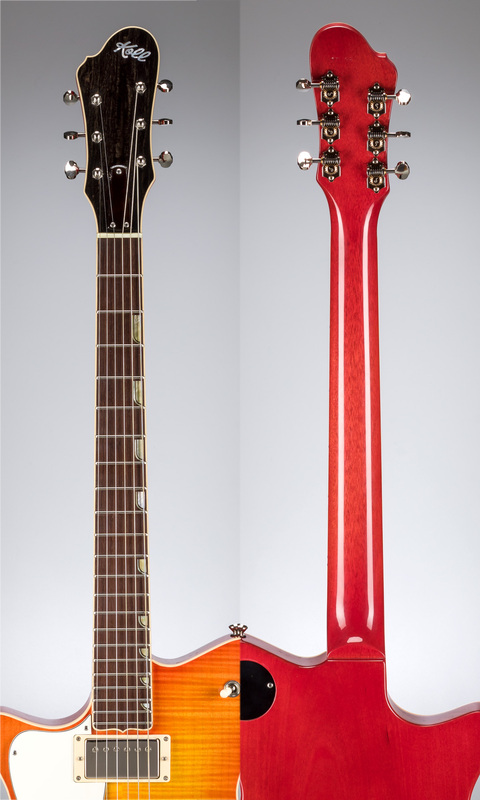 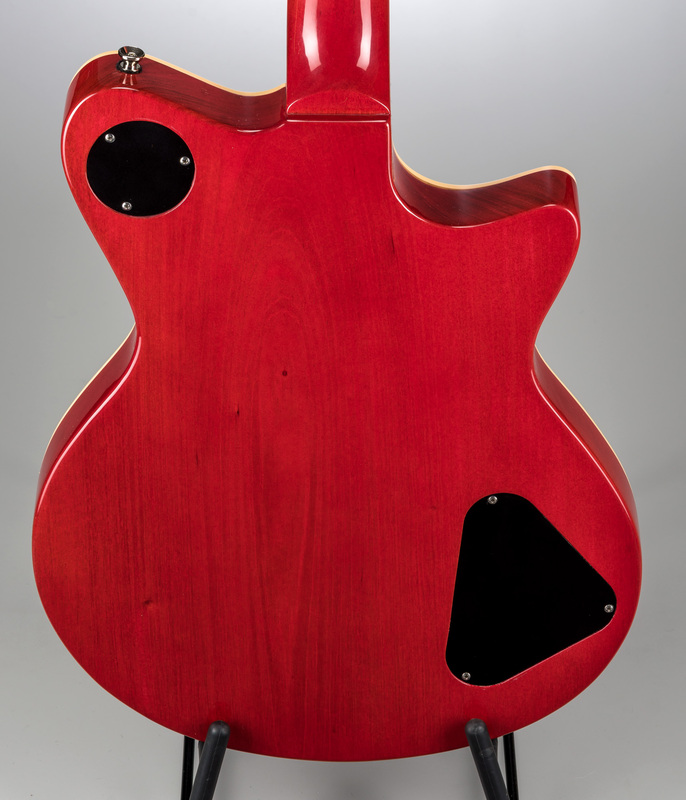 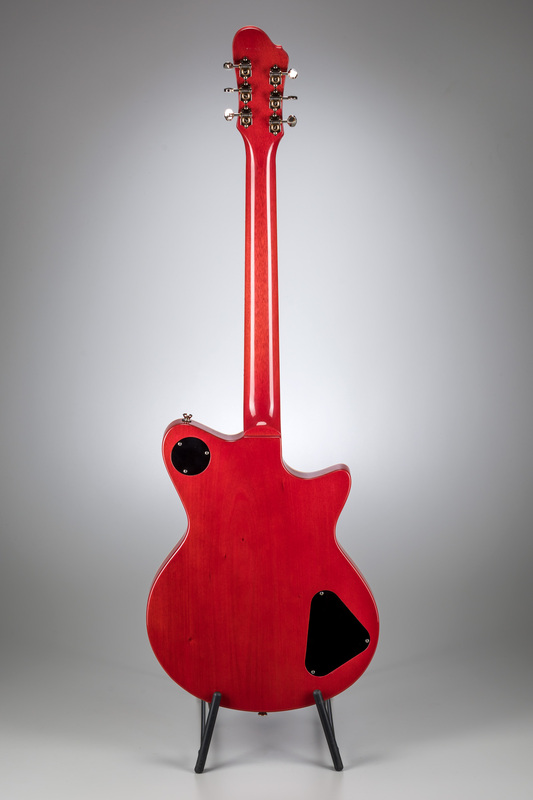 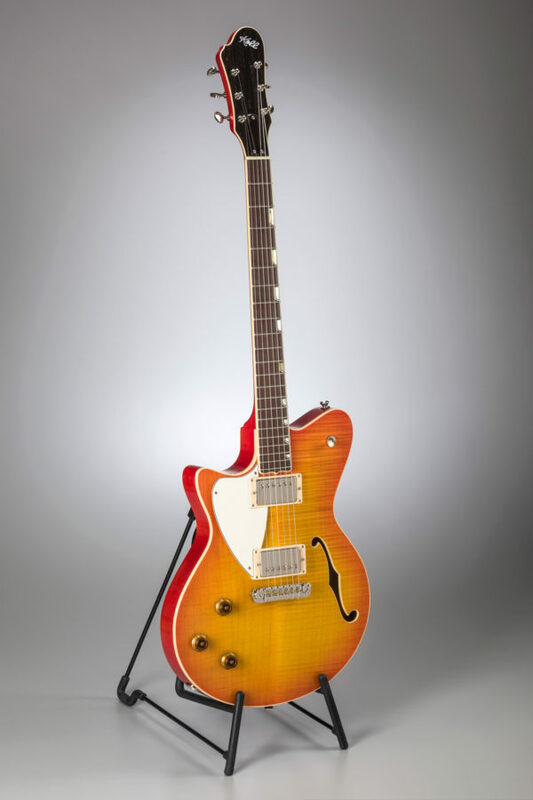 Chambered mahogany body with a hand-carved maple top. Binding on everything. 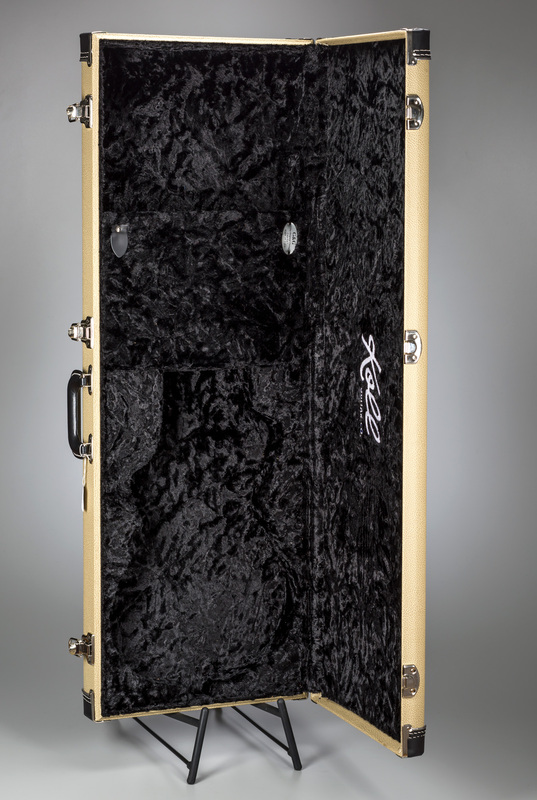 Deluxe inlays. 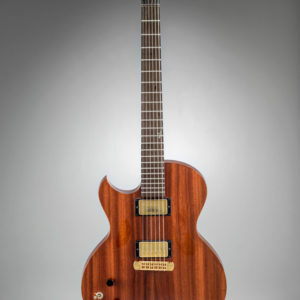 Their finest woods and materials.